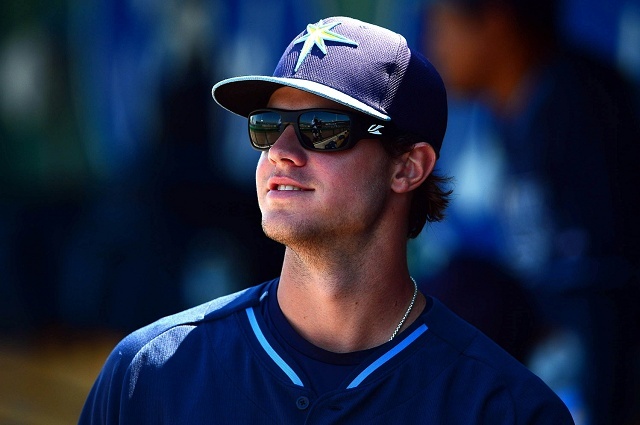 On Tuesday evening, the Padres and Rays put baseball insiders, analysts and fans on high alert with rumblings of a trade involving Tampa Bay outfielder Wil Myers going to San Diego. Though reports had the deal as close to happening, there were warnings of caution that the trade could take a while to complete because so many players were involved. So we went to bed on Tuesday night with no news of a deal. Most of Wednesday was spent waiting as well with the baseball rumor mill and Twitter timelines filled with speculation as to which prospects could be involved and whether or not other teams could be involved. Was this going to be a three-way deal? A four-way trade? Even more? Approximately 24 hours after the initial rumors began surfacing, the trade is complete (if not yet official, because of pending physicals and the other typical cautionary qualifiers). The Nationals began the third team to join the party with the Padres and Rays, pulling off a mega-deal involving 11 players. A couple of the names have major league experience, but it’s mostly top prospects switching teams and criss-crossing the country. Myers is indeed the featured name in this deal and goes to the Padres. Accompanying him to San Diego from the Rays organization are catcher Ryan Hanigan, along with low-level minor league pitchers Jose Castillo and Gerardo Reyes. Tampa Bay gets catcher Rene Rivera, pitcher Burch Smith, and Single-A first baseman Jake Bauers from the Padres. The haul from the Nats includes outfielder Steven Souza and Single-A pitcher Travis Ott. With the deal, the Padres get their second right-handed power bat in a week, following the acquisition of Matt Kemp from the Dodgers. (Actually, rumblings of Kemp having possible issues with his physical provided a subplot to these trade rumors. That appears to no longer be a concern.) The 24-year-old slugger was limited to 87 games last season due to a wrist injury that adversely affected his production. He batted .222 with a .614 OPS, six home runs and 35 RBI in 361 plate appearances. 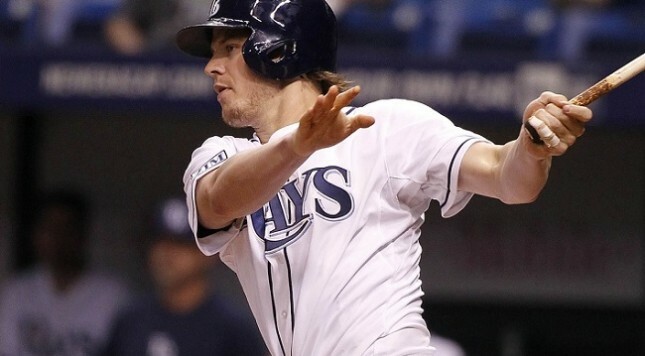 But Myers was the AL Rookie of the Year in 2013 despite joining the Rays in June and compiling 373 plate appearances. He posted a slash average of .293/.354/.478 with 23 doubles, 13 home runs and 53 RBI. In 2012 as Kansas City’s top prospect, he blasted 37 home runs with a .600 slugging percentage between Double-A and Triple-A. The question now becomes which position he plays in San Diego, as Kemp was ticketed for right field. Will he or Myers move to left? Could Myers possibly go to center field, where he played 100 games in the minors? Hanigan likely becomes the Padres’ starting catcher, now that Rivera and Yasmani Grandal have been traded. It’s somewhat surprising that San Diego didn’t have to include Double-A catcher Austin Hedges, one of the team’s best position player prospects in the deal. But Hanigan is under contract for two more seasons, providing a nice placeholder while Hedges continues to develop. In Tampa Bay, Souza replaces Myers in the outfield while Rivera takes over for Hanigan behind the plate. Rivera should provide more offense at catcher than Hanigan too. More importantly, the Rays get three top prospects in Smith, Ott and Bauers that could be key parts of their future roster (or trade pieces down the line). Yet it’s possible that the Nationals got the best end of this trade. Finishing last season in Double-A, Ross could be ready to step into the major league rotation in 2015 if Jordan Zimmermann and/or Doug Fister leave via free agency. He averaged nearly eight strikeouts per nine innings in the minors. He does give up more than a hit per inning, but that’s likely because he averages two walks every nine frames. Projecting Turner to take over at shortstop in D.C. next year if Ian Desmond signs elsewhere is probably expecting too much. The 21-year-old finished last season in low Class A, but put up impressive numbers. Overall, he hit .323/.406/.448 in 321 plate appearances. MLB.com ranked him as the Padres’ No. 3 prospect going into the winter. With one more year of minor league development, perhaps he will be ready to take over for Desmond. The Nats are likely hoping so. For now, however, this trade is about Myers and the newly aggressive approach the Padres are taking under general manager A.J. Preller. San Diego’s outfield is suddenly very crowded with Kemp and Myers joining Seth Smith, Will Venable, Cameron Maybin and Carlos Quentin. The team also has two top outfield prospects in Rymer Liriano and Hunter Renfroe. At least two of those names will surely be traded, keeping the Padres busy from now until February. The guess here is that Venable and Quentin will be the ones to go, as Smith probably moves to first base. Upgrading third base and shortstop, along with finding new prospects for the minor league system are surely among Preller’s objectives.